We have run dozens of campaigns for shopping centre establishments including Westfield London, Westfield Stratford, Gallions Reach, The Fort Shopping Centre, Bournemouth Castle Point to name a few. Campaigns held inside the shopping centres concourse, outside the shops or in the car parks are used to reward customers, aid retention, promote retailers and seasonal activities, encourage visits, gather data and create content. Campaign set up – A plush area was created on the top floor in the atrium area with large branded tall mirrors, black tables, directors chairs and lots of white and silver dressing. A team of PRs fielded enquiries from clients and organized queues. Results – Our part of the team conducted almost 300 treatments. 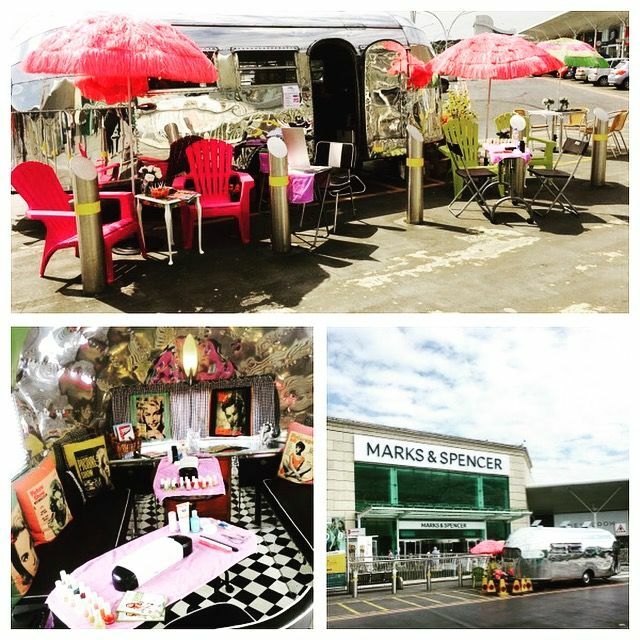 This created amazing footfall in an otherwise quiet part of the centre and a great captive audience to gather data from and drive to retailers in the centre. Aims – To celebrate the launch of the Castle Point Fashion guide for the summer season fashion. Handing out the booklets to the crowds encouraging them to have a treatment reward as a thank you from Castle point as a PR boost for the centre. 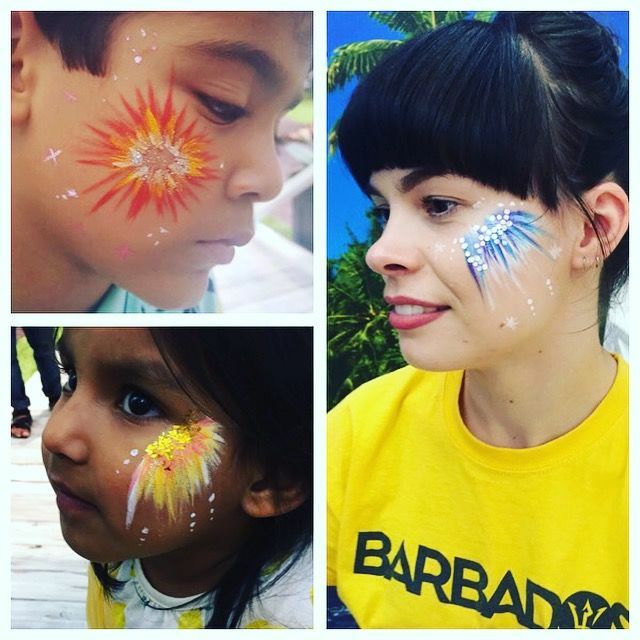 Treatments – Barbados themed face art we developed a stunning quick turnaround firework design. We also did plaits with beads Caribbean style. 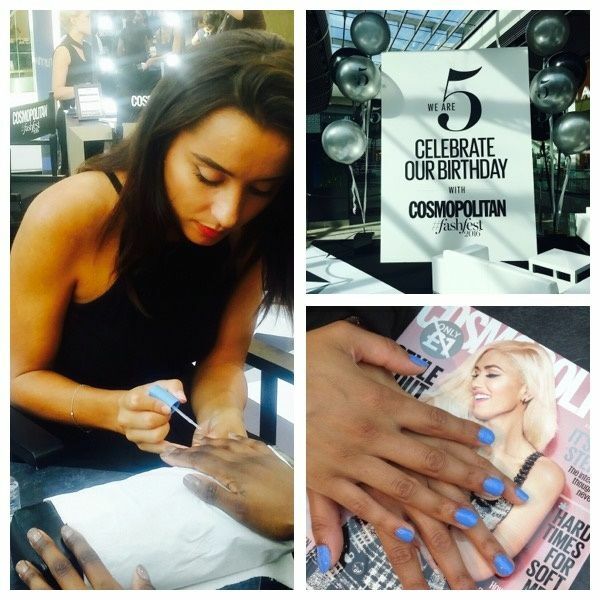 Campaign set up – They had a cute little hut style set up in the main concourse below Vue cinema our team were stationed outside for fabulous visual impact conducting super quick treatments to enourmous queues whilst the PR staff took down peoples details. Results – We conducted between 40-60 treatments per day which is fantastic turnaround for 2 staff in 2 hours less than 5 mins per client. The stand was continually busy and this created a real buzz in the area and really suited the theme.